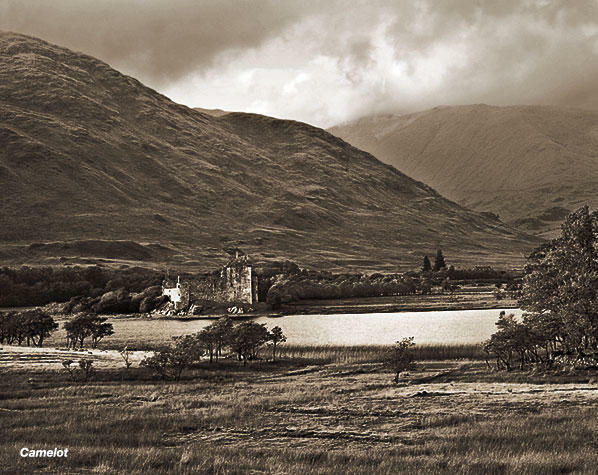 Camelot—Kilchurn Castle, Lock Awe, Scottish Highlands The ruins of Kilchurn Castle inhabit a rocky spit of land, formerly an island, at the head of Loch Awe. Abandoned for centuries, it is reminiscent of Camelots past and present. While shrouded in somber hues, a burst of sunlight cleaves the dooming darkness and reflects a shining hope.